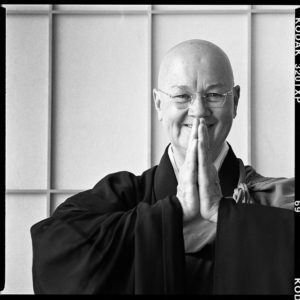 In this talk, Roshi follows the themes of our 2019 Urban Sesshin organized by our practice leader Gessho: creative attention, awareness and focus – narrow and wide. Roshi quotes Dogen, Ryokan, Muso Soseki, and Sid Corman. We can’t grasp attention, focus and awareness. So how do we learn to pay attention? Listen. Our meditation practice is to be in this-moment mind, and witness the profound intimacy of our own lives. Recorded March 16, 2019.